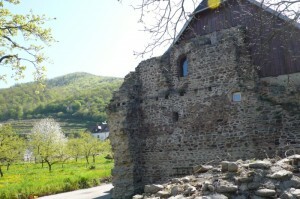 The massive late Roman watchtower in the small village of Bacharnsdorf is situated close to the river bank of the Danube and sign-posted on the main road. 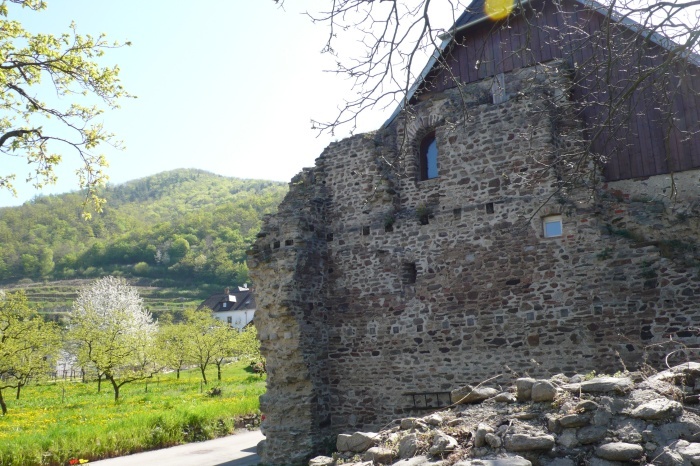 It is the best preserved example of a series of Late Roman watchtowers which were built to observe the narrow gorges of the Danube in the Wachau valley between Ybbs and Mautern. The tower‘s quadratic ground plan (12.2 x 12.4 m) and walls 1.5 m thick are preserved up to the third floor at the eastern and southern sides. The narrow arrow slit and arched windows date back to the Roman period. The burgus was a part of the Valentinian fortification line and was re-used in medieval times. The well-preserved monument is close to the Danube Bicycle Path.